Let us help you stop smoking today! 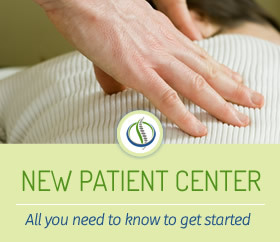 Chiropractic CareCentre was originally owned by Dr. Dennis Sailer. He developed an innovative program that will help suppress your nicotine cravings through the use of electroacupuncture. If you’re looking to save money and improve your health by quitting smoking, we’re ready to help you get there. Electroacupuncture combines the Chinese theory of contacting acupuncture points on your body with an electronic treatment. We are sedating 12 nerve points by using an almost undetectable electric current. By sedating those nerve points, the desire for the nicotine is removed. That’s all this therapy will do, break the addiction to the nicotine: it leaves you with your habit. There will be times when the association will still be strong for that cigarette. Often, people are afraid that quitting will lead to a weight gain. Because of this concern, we encourage our patients to reward themselves with their saved money not spent on cigarettes. For those still concerned about weight gain, our nutrition counselor Kim DeRosier is here to help you. She’ll be happy to meet with you and talk about your nutritional needs. Our success rate with this therapy is 80%! History shows that 65% of smokers quit with the first treatment, and 15-20% need further treatments. 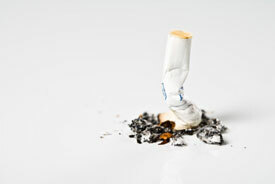 Learn more about our therapy in our Stop Smoking Fact Sheet.